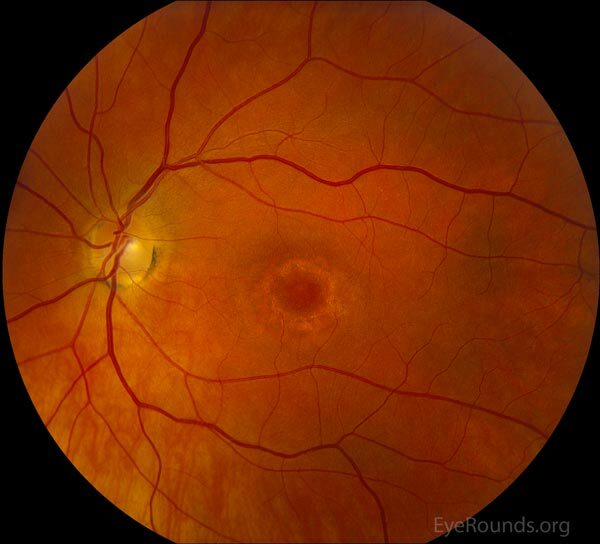 Chloroquine and hydroxychloroquine can cause toxic retinopathy due to their binding of melanin in the retinal pigmented epithelium (RPE) as well as direct toxicity to retinal ganglion cells. 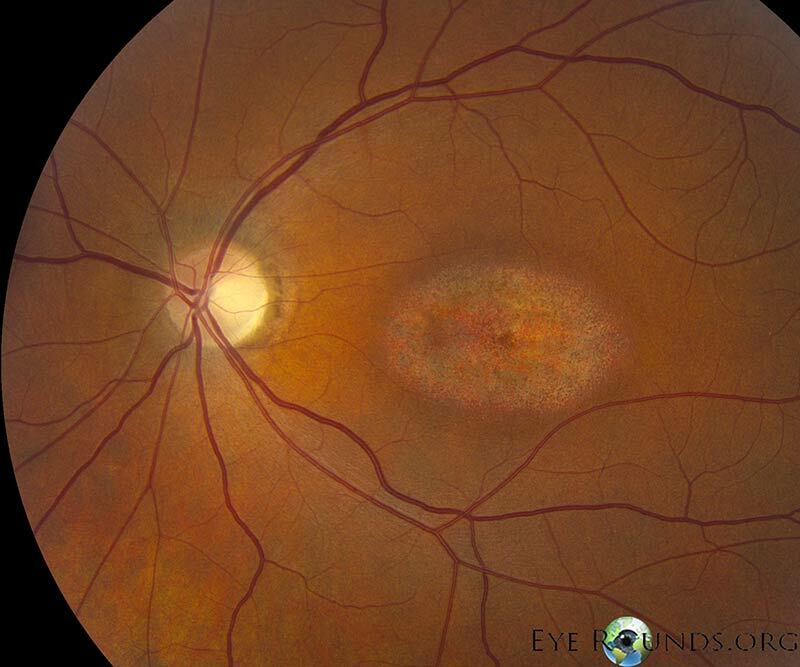 Early findings include mottling of the RPE and blunted foveal reflex. 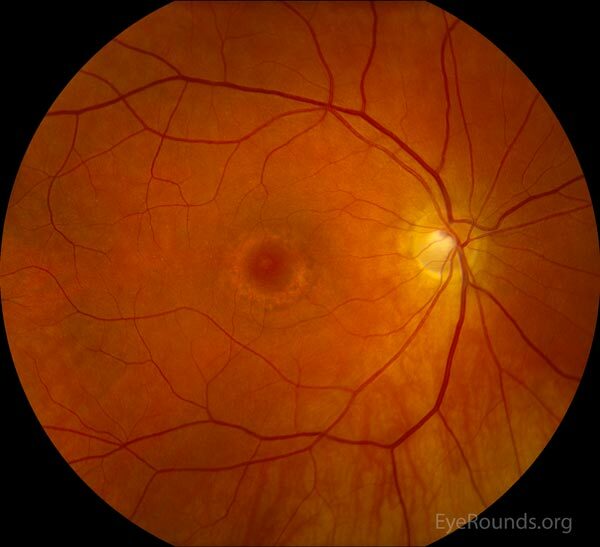 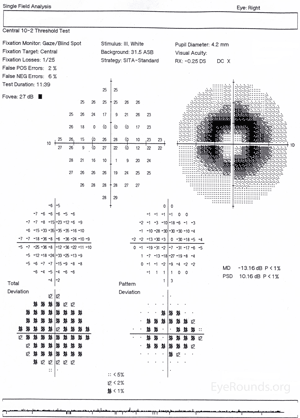 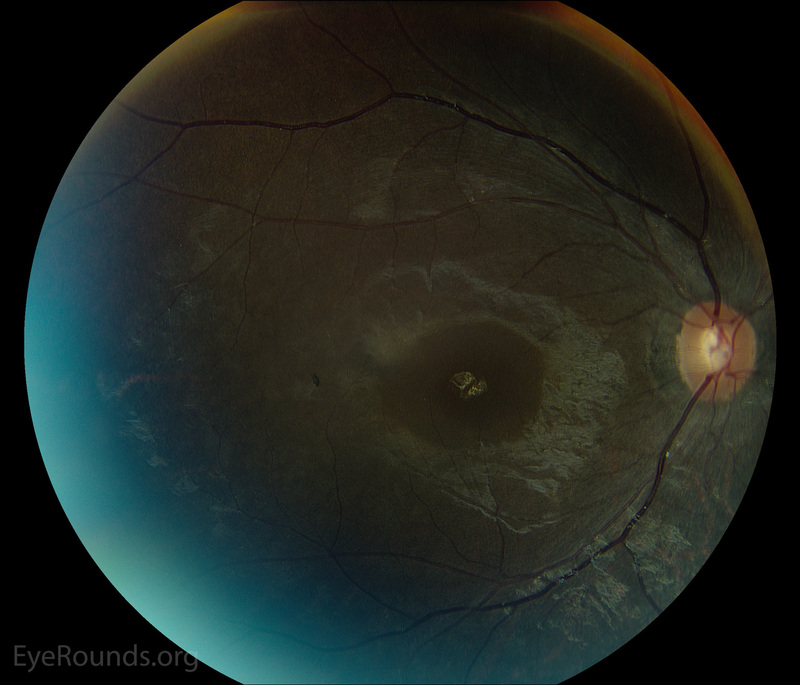 As the retinopathy progresses, a bull's-eye maculopathy develops, as seen in these photos. 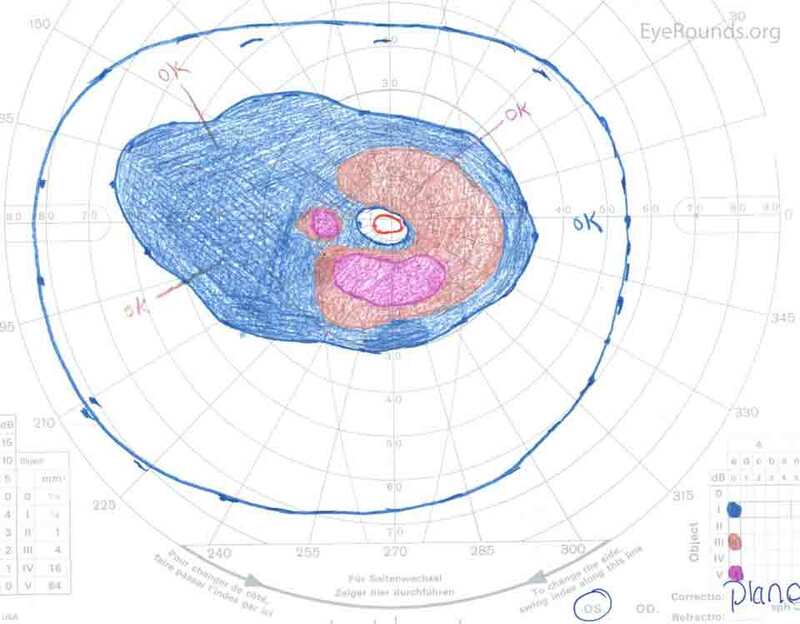 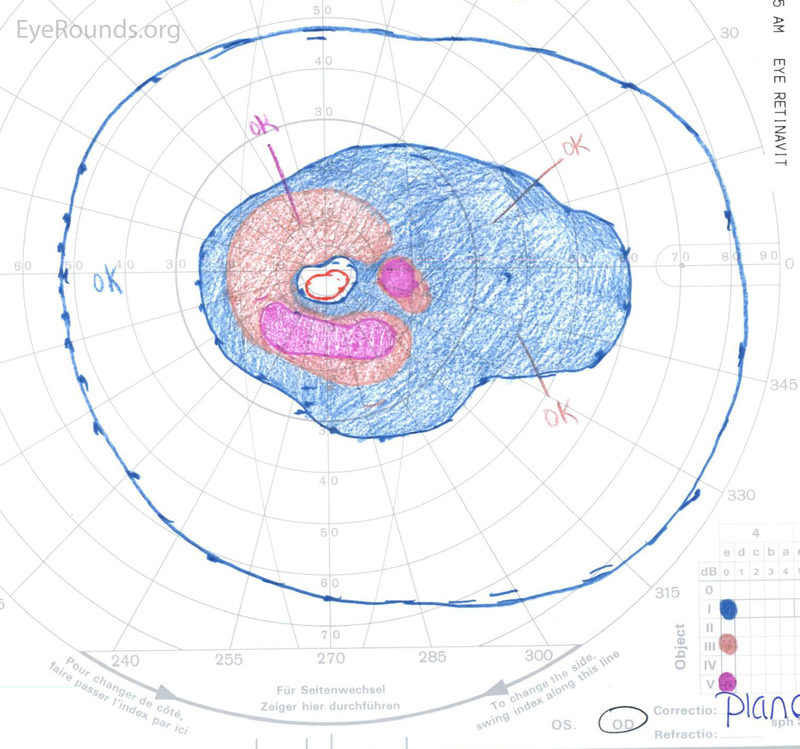 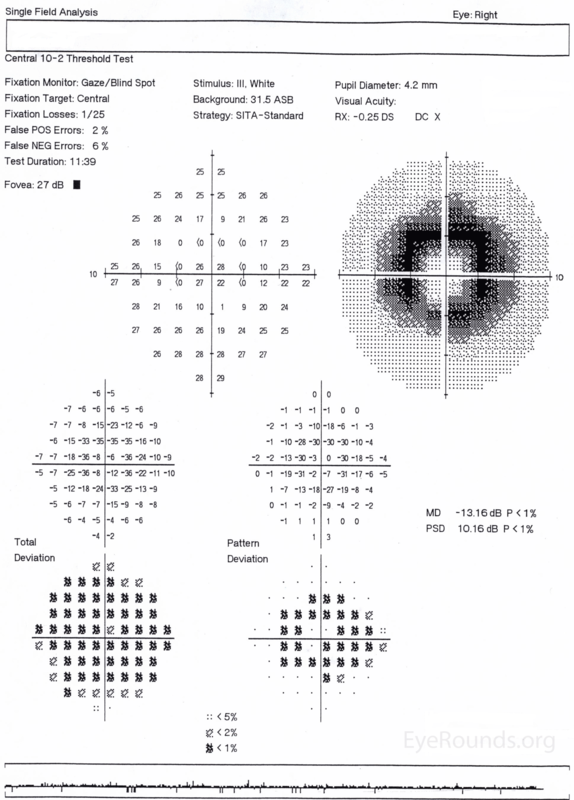 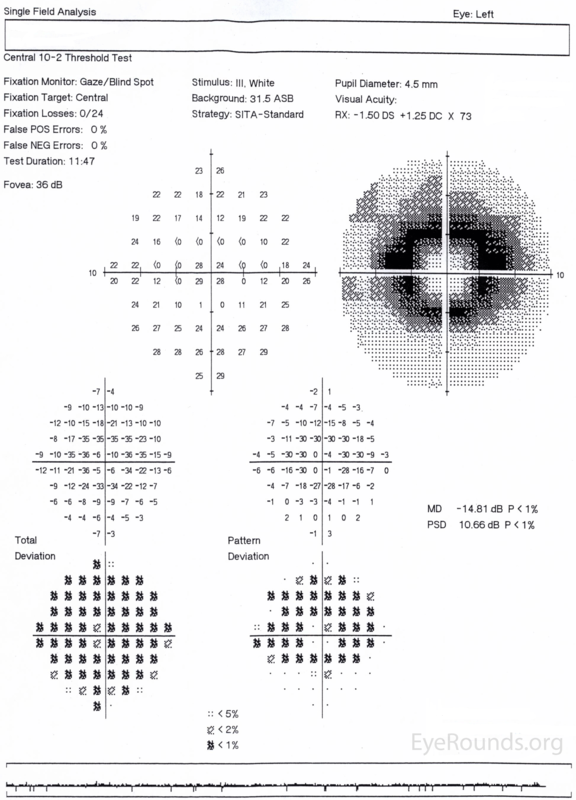 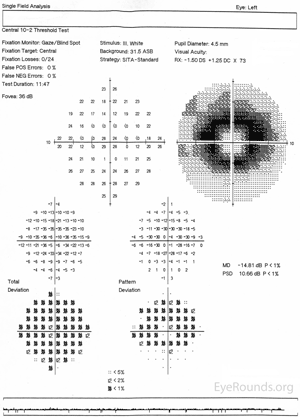 In addition to the bull's-eye maculopathy, patients can demonstrate paracentral scotomas on visual field testing and parafoveal outer retinal atrophy on OCT. 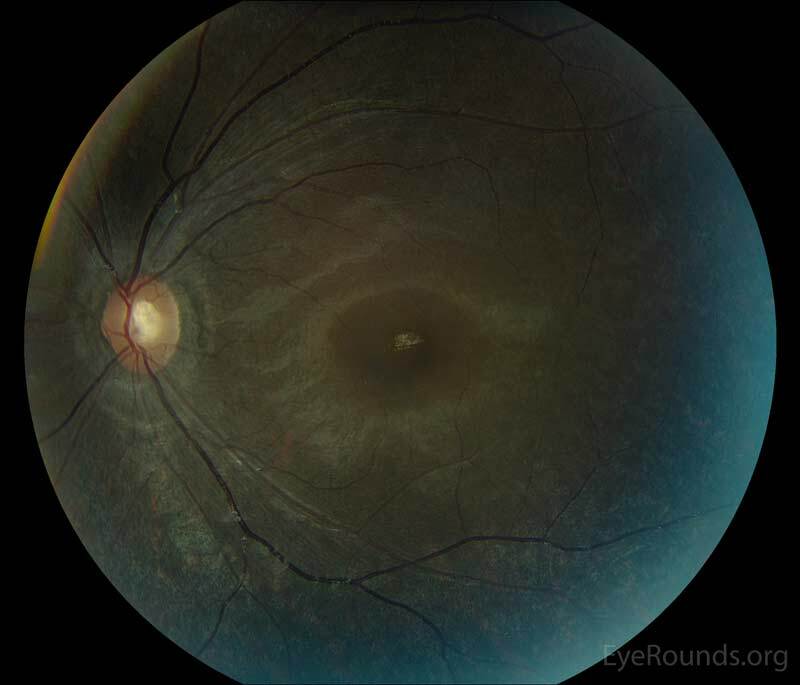 This patient took hydroxychloroquine for rheumatoid arthritis and her vision dropped to 20/300 as a result of the retinal toxicity. Unfortunately, vision loss rarely recovers and the retinopathy can continue to progress even after the medication is stopped.